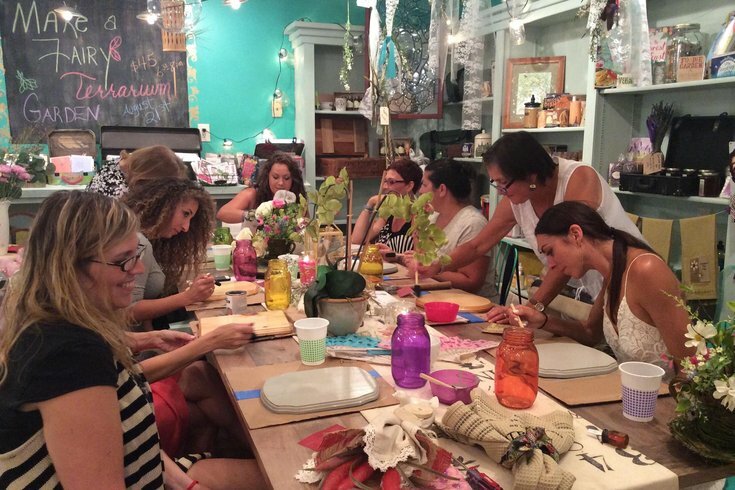 Philly shop Never Too Spoiled hosts craft workshops. The Old City store Never Too Spoiled sells whimsical fashion, spa products, jewelry and also offers arts and crafts workshops. The latest class lets guests create a DIY dreamcatcher on Friday, Jan. 29, at 6:30 p.m.
Philadelphia University fashion majors and the shop's floral designer will be on hand to guide the workshop. For $55, attendees will receive all materials needed and refreshments. Space is limited for the class, and registration is required.